I'm afraid I am late in posting and submitting this entry but hopefully it will be added to the roundup! 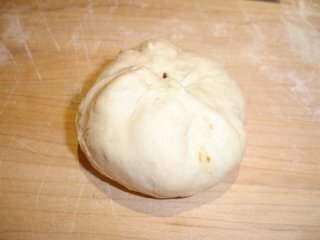 About a month a go, I had seen a recipe for steamed pork buns on bakingsheet and couldn't wait to try them. 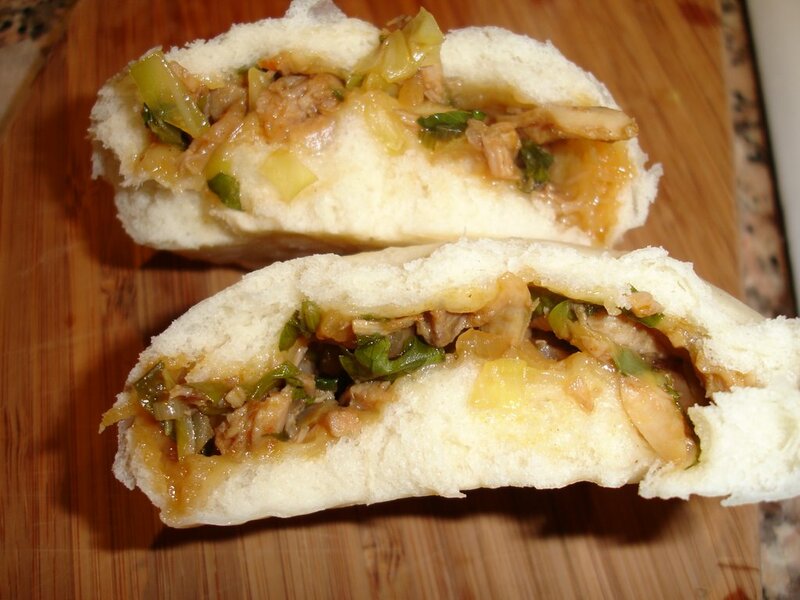 When I was living in Tokyo, I'd go to 7 Eleven and pick up a "niku man" (meat bun) which came in many flavors- the traditional pork, curry, pizza (!! 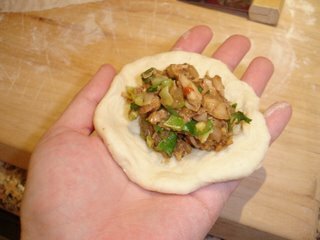 ), taco and chicken. ALL of them were great and it was just nice to hold the steaming hot bread in my hands as I walked home in the cold. 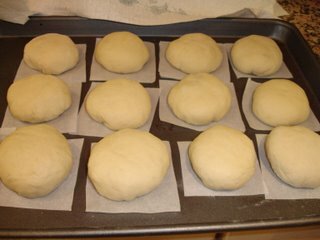 Although I followed the dough recipe to the letter, I made up my filling since I had a bunch of stuff I needed to use. Thus, the idea for making this the "something out of nothing" entry. We'll call it Steamed Chicken Buns. I had two whole chicken legs left over from the pack I bought for the lemon chicken I made last week, so I boiled them and shredded the meat. 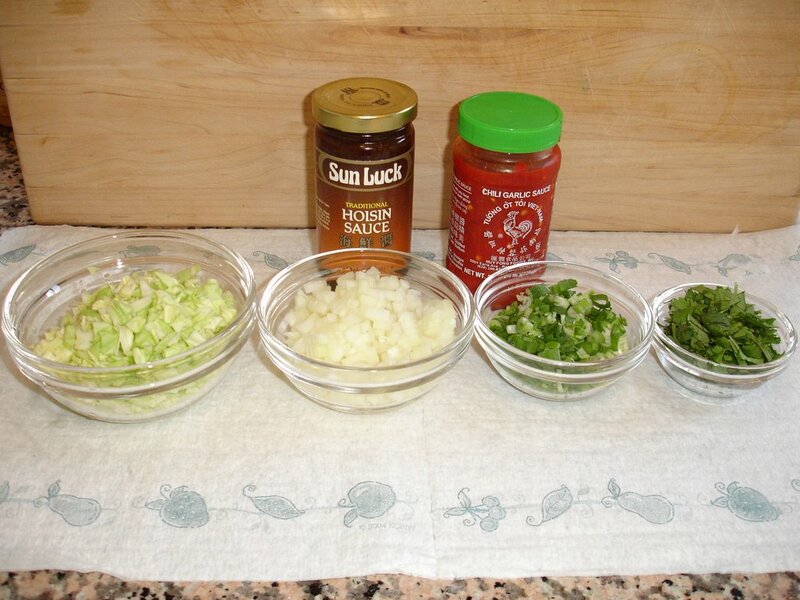 I diced some green cabbage and white onions and sautéed them until they were soft. In a large bowl, I combined the meat, cooked cabbage/onion mixture, chopped green onions, chopped cilantro, bottled hoisin sauce, garlic chili sauce, sesame oil and soy sauce to make the filling. 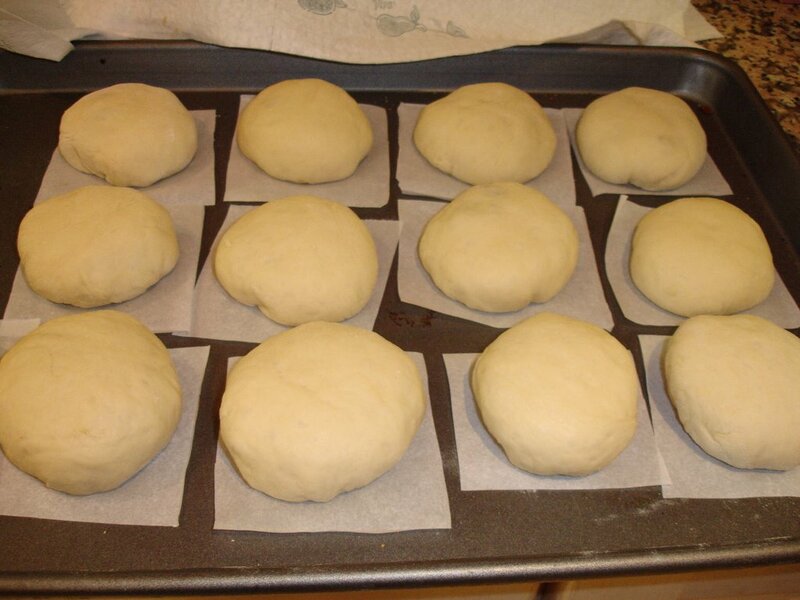 Nic was right in saying that this dough was an absolute dream to handle. 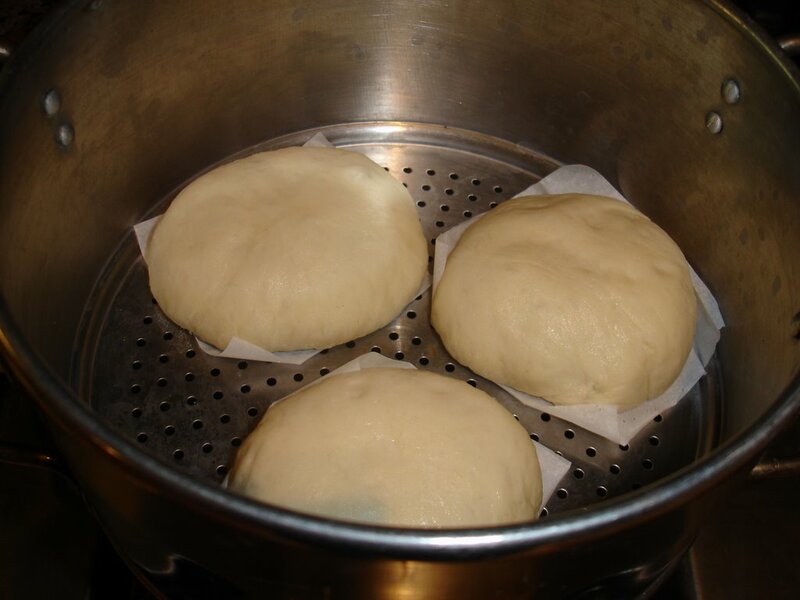 The prospect of making your own steamed buns may seem daunting, but it really was so easy. 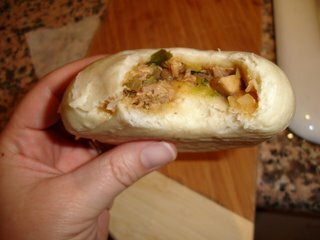 You probably have all of the ingredients for the dough in your pantry and refrigerator, and you can fill it with whatever you like. Have some leftover curry? Perfect. 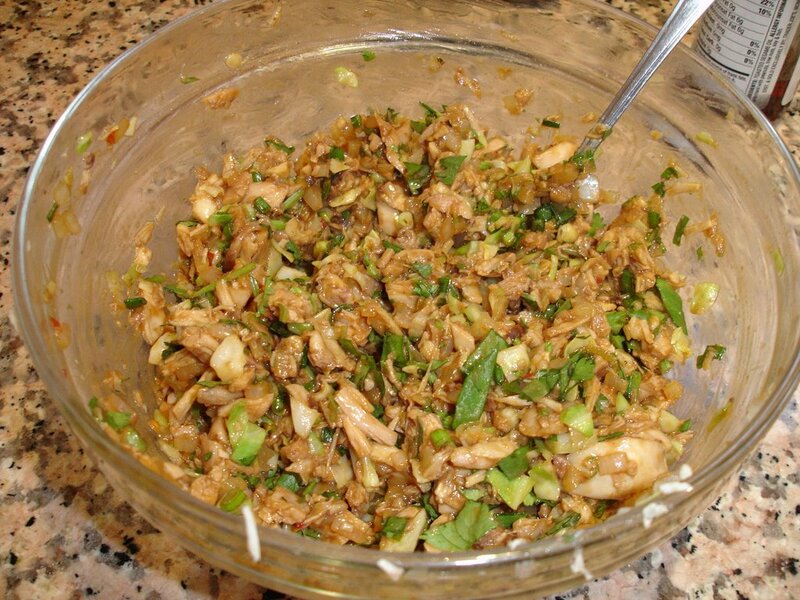 Leftover kung pao chicken or other Chinese takeout? Use it in this dough. It's the perfect way to make something out of, well, nothing! 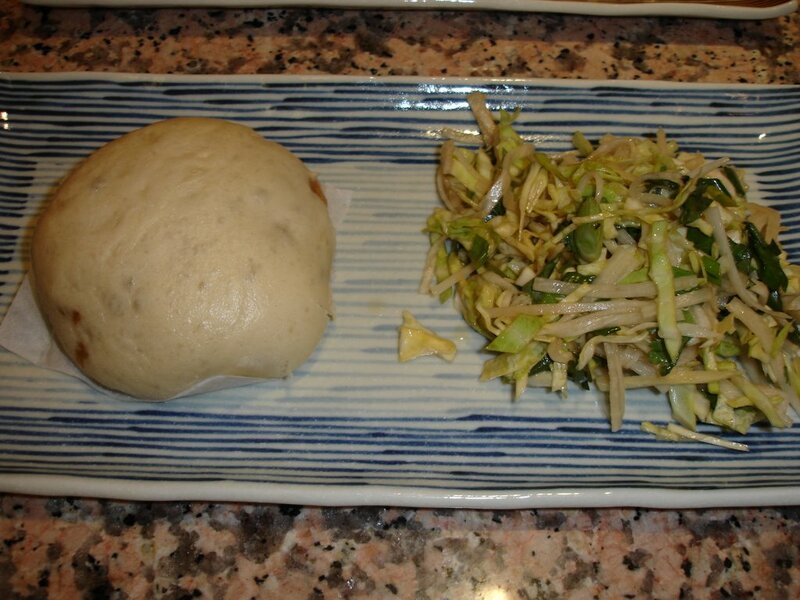 Ohhh I just had a vegetable bun today, but chicken sounds better. 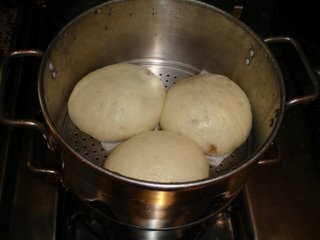 Buns are one of my most favorite foods ever! AND I HAVE NEVER MADE THEM. :( Unfortunately, I definitely don't have all of the ingredients for the dough in my kitchen, *sniff*. And I don't have any filling. Rawr! I gotta try to make these someday. Yum - they look fantastic! Robyn: You should try them! You can fill it with some leftovers from your many eating adventures. Kimberly: I urge you to try these. They are really easy and fun to make. I'm planning on trying these too. I wish I had one right now, truth be told. OH how I miss NIKU-MANS!!! My favorite came from 7-11 and Family Mart!!! Lindy: Let me know how yours turn out and what type of filling you use. Maybe we can get creative and have a niku man meme, haha. 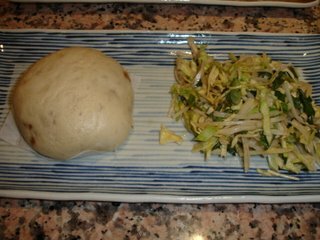 Jeni: I miss them too- but I was shocked to see a conbini called "Famimia" on 3rd Street Promenade in Santa Monica- TOTAL Japanese conbini dayou. They have all of the great onigiri, bentos and yes- NIKU and CURRY MAN! You should check it out. So nastukashii yo.